Image: Looking for the top eight tips to help you plan an event? Continue reading to find out more. 1. A Whole new world, a new fantastic point of view, no one to tell us no, or where to go, or say we’re only dreaming… Think outside the box. How creative are you or the DISers around you? Dare to be different, have an idea that no one has tried before. We included Give Kids the World in the planning process close to the end and I wish I had done it sooner. Leah and the team I worked with helped with flyers, logos and signs without being asked. They also donated a bag full of goodies for our raffle. 2. Be Prepared… Have a plan and remember you may not be able to make everyone happy. The date will not work for some people, Not everyone likes BBQ’s or movies or whatever you decide to do, but that is OK… that is not really why they are coming. As long as you have a place large enough to hold lots of friends, and something fun to do people will come.. remember that it’s for the kids. Try and come up with a timeline, when people should arrive, when you will eat, what time will you close the auction items. This will help your day run smoothly. 3. Let’s get together.. Yea Yea Yea, We can have a swinging time… Tell Everyone.. and then tell them again. Post it on the Podcast board, Post it on the DIS Meet Board, Post it on the Power of 10 website, Make a facebook page for your event and announce it on DIS Unplugged Facebook Fan Page and add it as a line to your DIS Signature. The more people see it the more they will want to come and want to help. Don’t forget to make sure the podcast crew knows too, as Pete has said he would like to attend as many events as possible. Also remember this is a fundraiser. Know someone who loves Disney but is not a “DISer”? Invite them. 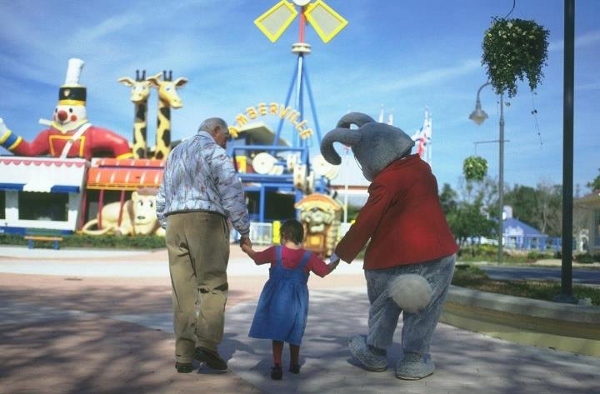 The goal is to raise money and awareness for GKTW. It is wonderful to be around people who “get it” but ask family and friends to come too, there is no rule that ONLY DISboards members can come. 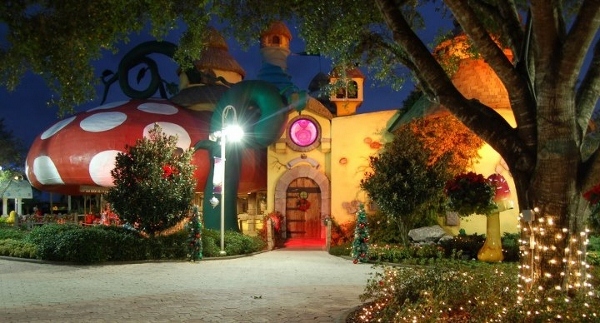 Image: Give Kids the World is located in Central Florida. 4. Heigh Ho, Heigh Ho.. It’s off to work we go… We is the operative word here. These events take a lot of work. From name badges, to auction items to popping popcorn, you will work hard, so ask for help. People will step up from the boards and be willing to help and take care of things for you. The event will be more successful if it is a team. Bill Morrison coined the phrase “One Team, Same Dream” and that is really what the Power of 10 is. One person (Tom Duke) popped over 80 Gallons of popcorn the night before the event and another family (Brian and Tracey O’Neil) covered 35 plastic containers with Cars Fabric to help the Door prize auction keep with the Cars theme. I can tell you first hand that the more hard work you put in, the better the result will be. Also remember to keep good lists. Whether it be the RSVP list, the Auction item list or your raffle items, remember who gave them to you and how to find them so when it is time to print signs or say Thank you it will be much easier. We used Google Docs so everyone had access and could update the lists as we went and then it was not all on one person. 5. Whistle While you Work… No one is saying you should work so hard you can’t have fun too. People must have thought I was crazy as I walked around and tried to get tables to sing “It’s a Small World” when it came over the PA system. As busy as we all were we had a great time and took a moment or two to enjoy the day. You should too!! 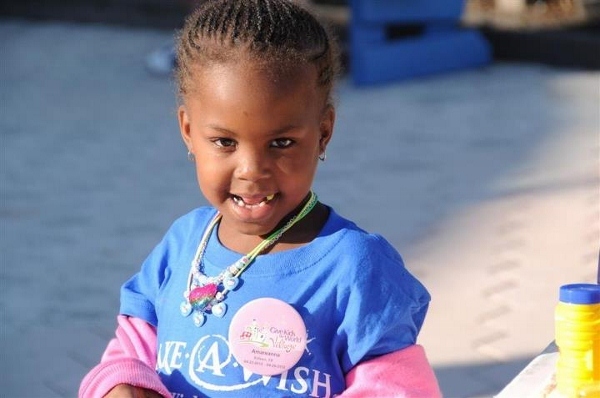 Image: Give Kids the World is a non-profit charity helping children with life-threatening illnesses. 6. Look at this stuff, Isn’t it neat.. wouldn’t you think my collections complete… Don’t be afraid to ask people for stuff. We had people who asked every business they knew. Divas canvassed the mall with letters one day and walked out with a basket from Yankee Candle, merchandise from Vera Bradley, a gift card from Lids and $50 towards the Cheesecake factory. We knew Boston Market and Friendly’s already had a relationship with GKTW so we started with them and Erika Duke got Friendly’s to give us 200 Sundae cups. Kristin Moffit had a connection to a TV Personality and got him to donate a TV Studio tour and the opportunity to sit in on a broadcast taping and Kim Doherty had a connection at Poland Springs so she got us 10 cases of water. People heard what we were doing on the boards and we got donations of Disney Collectibles and prized Teddy Bears. We also asked business to help. We got over $500 in corporate checks to offset our costs… all because we asked. No amount or item was too little. 7. Be Our Guest, Be Our Guest, put our service to the test… and you will have lots of different guests. Kids and adults, shy people and the outgoing kind. People who post a lot and those who like to lurk. Try and have things to start conversations, whether it be a bingo game where they have to find other people with things in common, stickers that say “I’m going on Podcast Cruise 3.0” or “Ask me about my Food & Wine Trip”, and activity books for the kids. Don’t let people hide in a corner. Do your best to include them in things you do.. even if it means giving them a task that day.. I am sure they would love to help and just need to be asked. 8. Hakuna Matata, what a wonderful phrase, Hakuna Matata, Ain’t no passing craze… No Worries. When the day comes, go with the flow. Don’t sweat the small stuff and realize more than likely no one else will know. Image: Donations will help the Village grow to serve more families in the future. Just by offering to host an event you are doing an remarkable thing and should be proud. You are helping us meet our goal of 1 Million dollars for Give Kids the World and as exhausting as it is, you will be so happy for weeks to come knowing you did something amazing! !